Advances strategy to enable seamless distribution of content to any platform, on a global scale. Los Angeles (January 9, 2018) – Deluxe Entertainment Services Group (Deluxe) today announced that it is taking the next step in its strategy to simplify the distribution supply chain in an increasingly complex content environment. 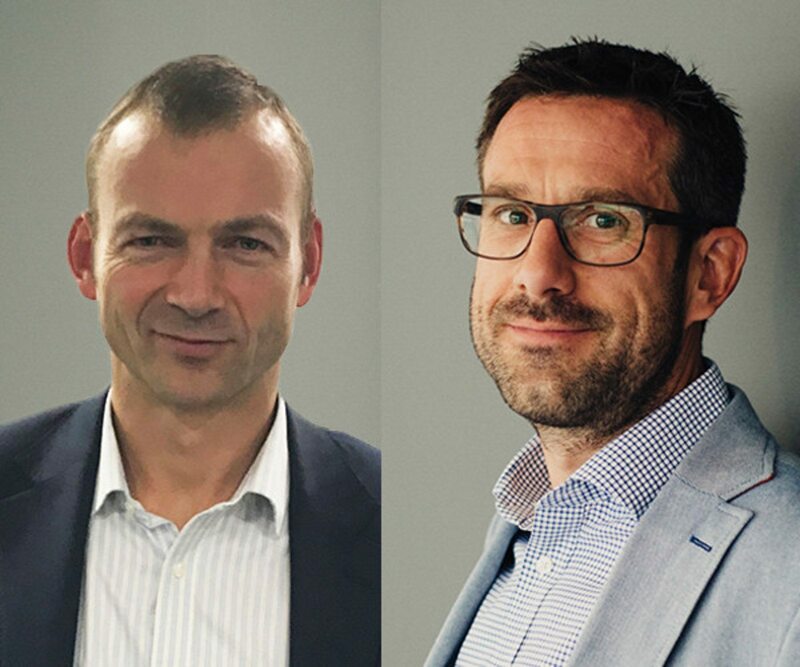 Deluxe Distribution has appointed two senior executives to the London-based leadership team to align digital cinema, delivery and localization: Andrew Bell, former Executive Vice President for Global Operations for BBC Worldwide, joins Deluxe as SVP, Operations and Technology, EMEA; and George Eyles, who has until now held the position of Managing Director of the company’s digital cinema division, sees his role expanded to SVP, Commercial and Business Development, Worldwide. Both Bell and Eyles will report to Walter Schonfeld, Worldwide President of Deluxe Distribution. Bell, who has worked with Deluxe in previous roles both at the BBC and Encompass, has been brought on to deliver operational leadership solutions across EMEA and will be responsible for all operational activities in the region across delivery, localization and digital cinema. Eyles will lead sales and business development worldwide for Deluxe Distribution, including bringing together all of the company’s distribution-specific product resources, sales and support teams and business development functions into one group. Eyles will remain involved as the digital cinema subject matter expert in EMEA, allowing him to continue to support this key service. As the demand for globalized content across every platform and every window continues to grow, Deluxe Distribution has consolidated its operations and commercial team to provide clients with one integrated workflow, allowing them to rapidly deliver and monetize modern content. This follows the recent structural realignment of Deluxe’s businesses through the creation of three distinct yet unified global entities – Deluxe Distribution, Deluxe Technologies and Deluxe’s creative brands – as the company moves towards becoming a virtualized services and platform provider. Deluxe Distribution offers scaled, end-to-end solutions for delivering content in any format to any window, screen or destination. With more experience and expertise than any other company on the globe, we’re relied upon by the world’s leading content creators, aggregators and distributors for the transformation, localization and distribution of their content.